It’s school time again! You’re probably feeling excited and maybe a little sad that summer is over. The holiday season has just finished, and now that we are all relaxed, we are being inundated with ‘back to school’ ads everywhere we turn! Well, the first day of school really is this week, and you need to turn your attention to the new school year. Do a wardrobe clean out of uniform items. Check for items that are too small, worn out or in need of repair (hems, buttons etc). Also be sure to label everything, or they may go missing, to save rummaging in through the lost property. Have your children fitted for shoes. A professional fitting is important to ensure you know what size is best, and it is advisable to wait until the week or two before school, just in case of another growth spurt! Purchase any required uniform items, books, and school supplies. Before you head to the shops it is a good idea to clear out of kids desks, drawers and pencil cases etc first. Be mindful kids can get very carried away buying school supplies and it can be easy to go completely overboard and arrive home to find you they already have some things. Create a centralised family calendar. Whether electronic, or paper, a calendar is a must. A family calendar with columns for each family member, is very useful. This should be kept in a busy area where everyone can see it as they are getting ready. It can be useful to place all scool notices and activities on a cork board. Start getting the kids to bed at their regular time. This is difficult when your are still on holiday, but it really does help to gradually get kids used to their normal bedtime, wake time and meal times! Be organised for the school morning rush. Avoid the morning panic by having kids get ready and packed the night before. Encourage independence. As soon as the kids are old enough, they can prepare their own breakfasts, snacks and lunches. Be prepared for school lunches. Have lunch bags, drink bottles, wraps and bags in one place. Remember freezer packs to keep things nice and cold. You can prepare some lunch things the night before. Encourage a routine for after school. Teach kids what they need to do, how to empty their lunchboxes, where to leave notices, and putting their schoolbags and shoes in a designated area in your Sydney home. Plan kids activities. Be careful to keep a healthy balance so that kids don’t do too much, ensure that the logistics work, and that you stick to your budget. Hire a Regular Houseproud Cleaner. Give yourself and family a treat this year and have your Sydney home professionally cleaned so you can really enjoy the new year! 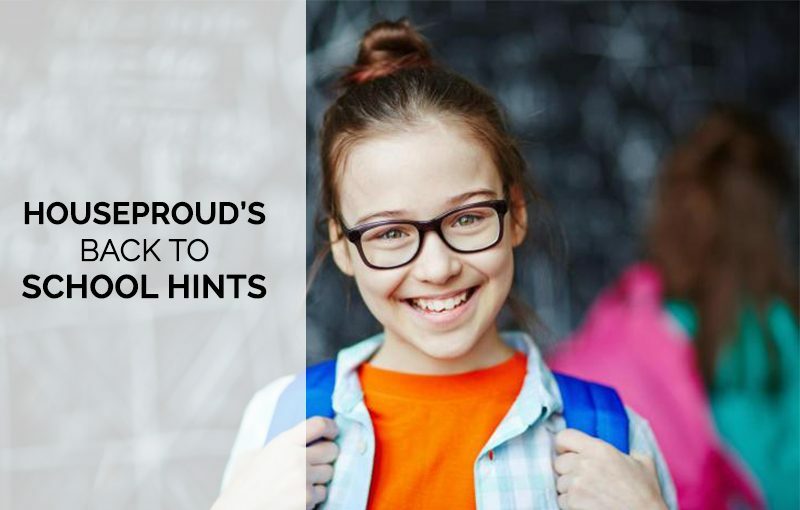 Houseproud hope with a bit of planning your whole family will be prepared for the start of the new school year, and will ease into it without too much drama and have fun! Beware of Sydney’s Carpet Cleaning Cowboys! 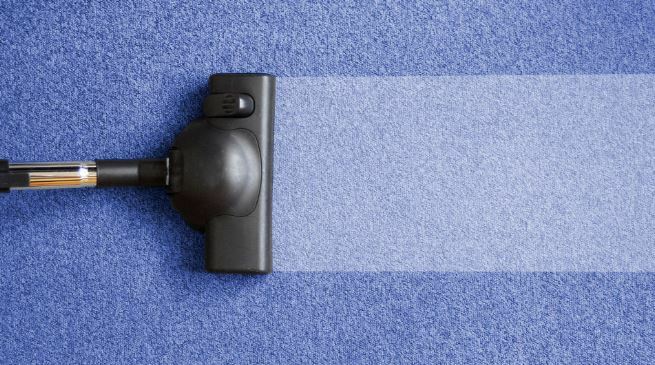 Previous Previous post: Beware of Sydney’s Carpet Cleaning Cowboys!